The Movie Pit Podcast is live! It became a pretty packed week with movie news by the end, so enjoy the craziness. Also, again, if Youtube is too inconvenient to listen, the podcast is on iTunes! This week the movie news was just a tad slow, so enjoy the “shorter” podcast this week. Also below the Youtube video, there is a link to the podcast for iTunes. So if Youtube is too inconvenient for you to listen, iTunes is also another option. Finally, if you can go me the favor of leaving a review and rating – and subscribing too – on iTunes, that would be great too. 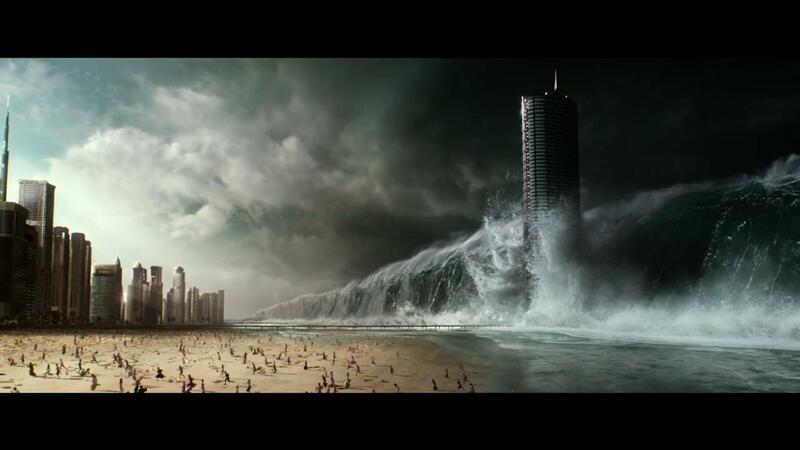 Enjoy your weekend everybody, and look for reviews of Geostorm and another undecided movie this weekend. Synopsis: A college student relives the day of her murder with both its unexceptional details and terrifying end until she discovers her killer’s identity. Slasher movies are a dime a dozen in the horror genre, however, what use to be the dominant subgenre in film has pretty much kept itself to VOD or Red Box rentals. That’s not to say the subgenre isn’t great anymore, but it’s not as good as it was back in the day – probably. That being said, you got to give props to anyone who has the gull to do a modern day slasher nowadays and give it a twist. That’s what the folks over at Blumhouse did, giving Happy Death Day the Groundhog Day treatment, and despite my early thoughts on the movie, it wasn’t as bad as I thought it would be. However, it does misstep on a lot of areas. The movie follows Tree (Jessica Rothe) – short of Theresa – on her birthday. She wakes up, hungover, in a dorm room that belongs to Carter (Israel Broussard), and as she leaves she comes across certain things; her father calling her, a weird guy checking her out, an activist trying to get her to sign a petition, sprinklers going off on a couple, a car alarm going off, a pledge off, an admirer, dealing with her sorority sisters and meeting with her married professor. Along with a few other things, it all comes to a head when a masked killer kills her – however, when she dies she wakes up back in Carter’s room and relives the day. Tree must then try to put the pieces together, and find out who has been trying to kill her. Lucky for her, she has an unlimited amount of lives. Happy Death Day was not a movie was I really looking forward to, but I kept my reservation to myself and took the movie in like I do for every movie. That said, I was pleasantly surprised by the movie, but that’s not to say the movie was all that great. Happy Death Day has a pretty good concept, and I applaud writer Scott Lobdell and director Christopher Landon for fully embracing it and not making the movie too cliché. The movie does unfortunately carry some tropes with it, but the concept and the movie not trying to take itself too seriously, does help it out just a tad. Given the concept, Jessica Rothe is left to carry the movie on her shoulders, and for the most part she carries pretty damn well. Rothe’s Tree does make bad decisions like expected, but she does bunker down to try and figure out what exactly is going on. Tree also isn’t the most likeable person either. In fact, none of the characters, with the exception of Carter and a random girl sitting outside the sorority, are terrible people and not likeable at all. It’s to be expected, but it is off putting for a while. Although, I’m not one to complain about a movie’s rating, Happy Death Day’s rating of PG-13 doesn’t do it any favors. Which is odd, considering you can get away with a lot in PG-13 movies nowadays, and this movie could have benefited more with a hard PG-13 rating. Given the concept, I thought there would be some elaborate or even at least one creative kill, but the movie shows them off-screen, and even when they are shown, they’re very bloodless – unless you count the blood on the masked killer’s knife. 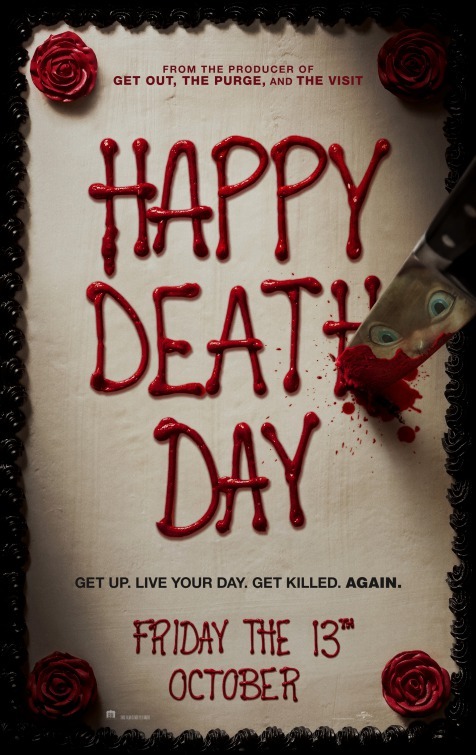 I know there’s a lot of debate amongst horror fans about PG-13 and R-rated horror movies, and while I don’t need every horror movie to be rated-R, Happy Death Day could have benefited by pushing the rating, at least for one kill. Another con I would point out is even though the movie has a brisk one hour and thirty-eight minute runtime, Happy Death Day loses some steam before the final act. However, the final act does tighten everything up. Additionally, there is one particular subplot that involves Tree that seems rather important, and hints at connecting to the overall story, but it’s never really fleshed out and feels rather weird when it’s bought up and stops the movie completely. 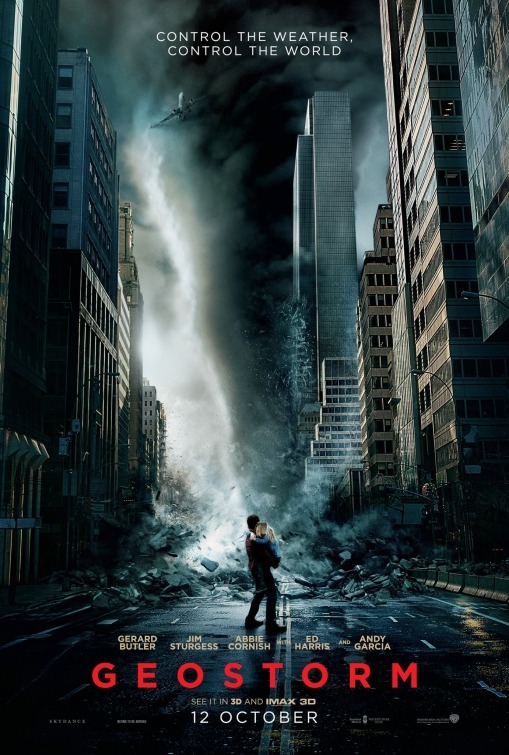 Landon has mentioned in interviews that this would be bought up in a potential sequel, but it is rather glaring when you sit down and think about it after watching the movie. All in all, Happy Death Day is rather entertaining, and Jessica Rothe carries the movie on her shoulders. 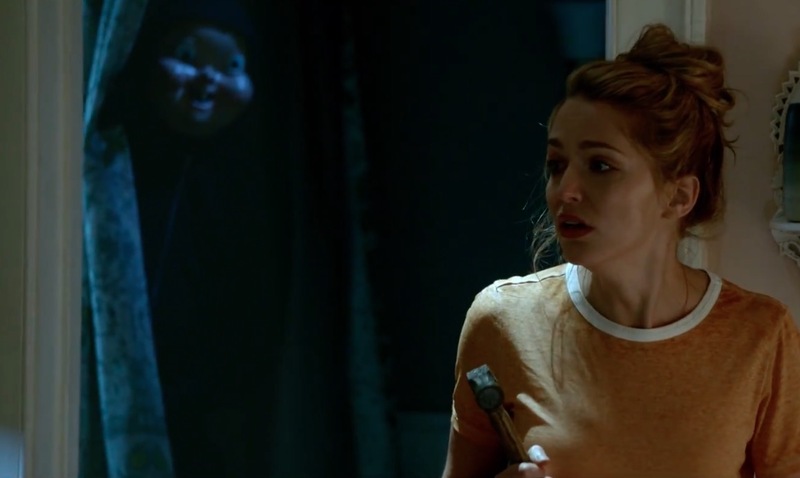 However, Happy Death Day also has glaring and unfortunate missteps that make the movie okay as opposed to be potentially great. I’m pretty sure I got hit by the Friday the 13th curse yesterday with the podcast. Had all kinds of problems yesterday, then I had to leave the house and it didn’t get published until late at night. Now I know, and knowing is half the battle (G.I. JOE!). Enjoy the podcast everybody. 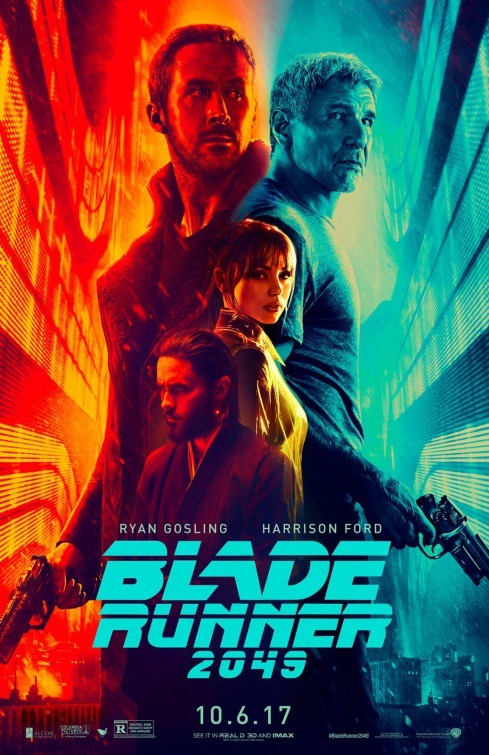 Synopsis: A young blade runner’s discovery of a long-buried secret leads him to track down former blade runner Rick Deckard, who’s been missing for thirty years. The first, since Blade Runner 2049 is a sequel, Blade Runner came out in 1982 and was directed by Ridley Scott. The film, in many people’s eyes changed the way sci-fi films, and even regular films, were made. The film raised questions and with all the different versions of the film, made the audience fill in some gaps. With the sequel, it expands on a lot of points the first film brought up, while giving us an enthralling story, great characters, and beauty cinematography. That being said, I want to note that this review is going to be pretty vague. Not because the movie is a sequel – although if haven’t seen Blade Runner by this point, will you? – but because I think the less you know about the movie the better. Set thirty years after the events in the first film, Blade Runner 2049 follows new Blade Runner in LAPD detective “K” (Ryan Gosling), who hunts down the synthetic humans created as a work force called replicants. On his recent assignment, he comes across something that is not only surprising, but something that can change everything. This eventually puts him on track to find former Blade Runner, Rick Deckard (Harrison Ford), who has been missing for thirty years. Unfortunately for K, this also puts him on new replicant creator Niander Wallace (Jared Leto), who sends his employee Luv (Syliva Hoeks), to keep an eye on K.
Right from the opening scene, we know this story is going to be different on a lot of levels. Most of it comes from Gosling’s K. Again, I’m going to give you very little about the film, and even the characters because it’s pretty great to watch them evolve and react in front of you. Gosling does do a great job here, having K be a man of a very words when need be, and having a certain restraint for most of the film. On the other end, there’s Harrison Ford, who thankfully doesn’t even give an impression that he’s phoning it in. Although, I will let this slip, he’s not in the film as much as you think or as the ads would make you think as well. The rest of the cast is a mixed bag, not in the usual way where there’s good or bad performances because the film is filled with great performances, but in terms not everyone has enough time to shine. Most of the characters that enter server their purpose like Lennie James’ Mister Cotton, Barkhad Abdi’s Doc Badger, Hiam Abbass’ Freysa and Dave Bautista’s Sapper, but it’s the other characters that you think would have a bigger amount screen time. 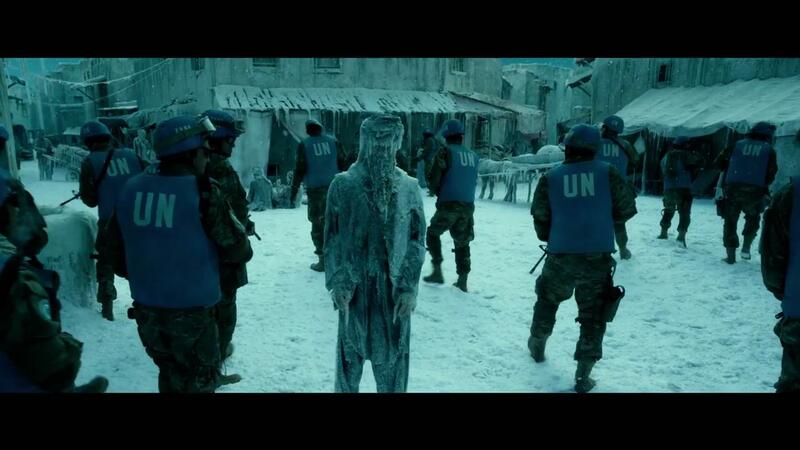 Jared Leto’s Wallace, who could easily be the “villain” of the movie only has a handful of scenes, while Hoeks’ Luv does all the heavy lifting on the antagonist side of things. Mackenzie Davis pops in as Mariette, and has a scene that I’m curious how people will react too, and Ana de Armas plays Joi, which will undoubtedly make her a household name. However, one of the best things – besides the mystery story – is the production design by Dennis Gassner and cinematography by Roger Deakins. If anything, the film is stunningly beautiful to look at it. The use of colors and sets are pause worthy so you take it all in. I don’t want to say this is Deakins best work – only because I haven’t seen all of it – but I don’t think anyone would argue with that statement. Unfortunately, not everything about Blade Runner 2049 is great. 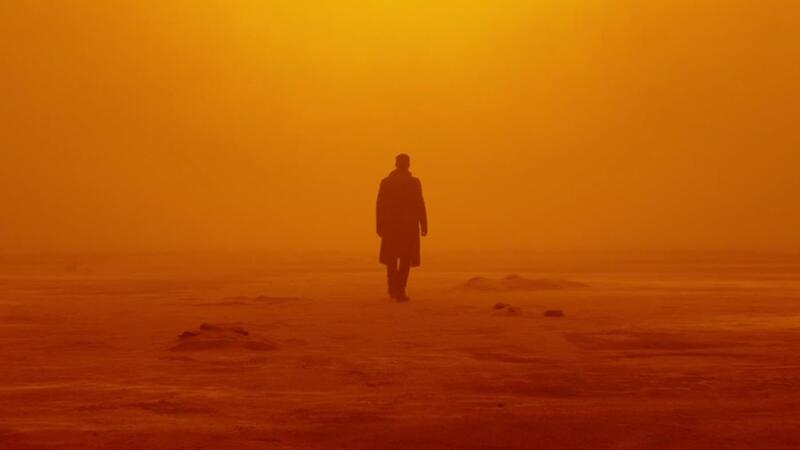 I’m not one to complain about a film’s runtime, but Blade Runner 2049 does feel like a long film. That’s not to say the movie is boring, but there are a lot of shots that are long and maybe too drawn out for their own good, but the run time did way on me, which doesn’t happen often. If anything, that would be one of my complaints and cons for the film. 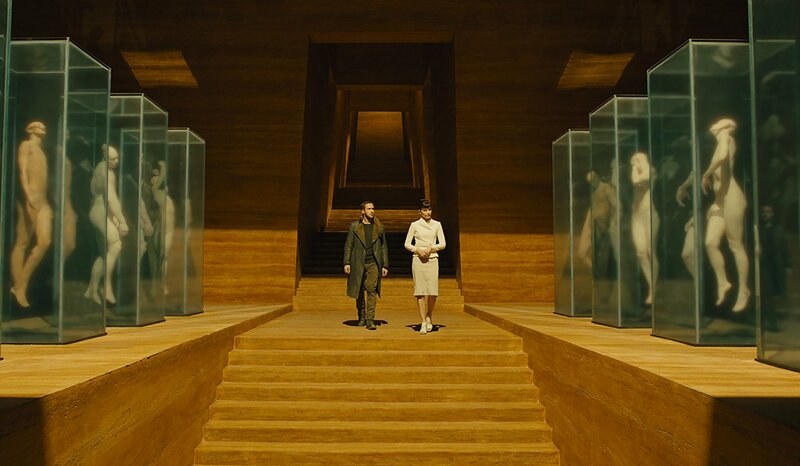 All in all, Blade Runner 2049 is a great film with amazing production design and, to no surprise, amazing cinematography by Roger Deakins. Ryan Gosling delivers on everything he given, and works well with the supporting cast of Harrison Ford and especially breakout star Ana de Armas. Take my word for it, the less you know about the film, the better the experience will be. Also, if you can, watch it in IMAX, or at least Dolby. The Movie Pit Podcast is up! I’m a little late to post it here – obviously – but I still wanted to pass it along. So sit back and enjoy everybody. Also check out the podcast on iTunes as well (link – https://itunes.apple.com/us/podcast/the-movie-pit-podcast/id1249582608?mt=2) and please subscribe and leave a review. It will really help me out.